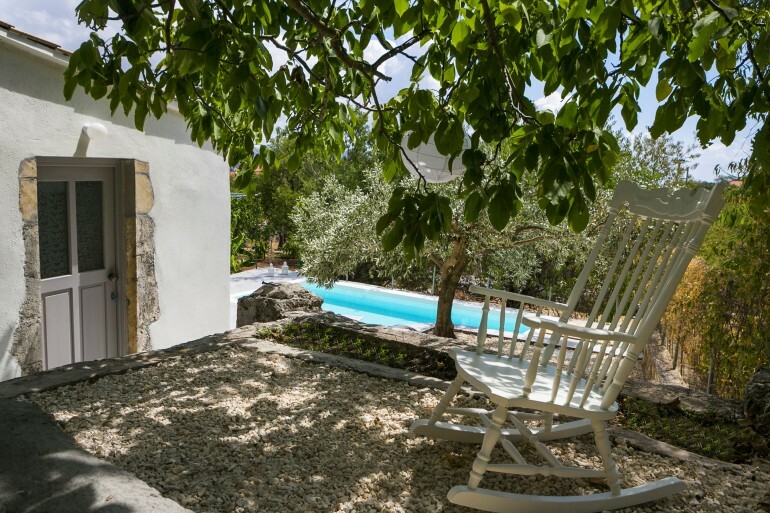 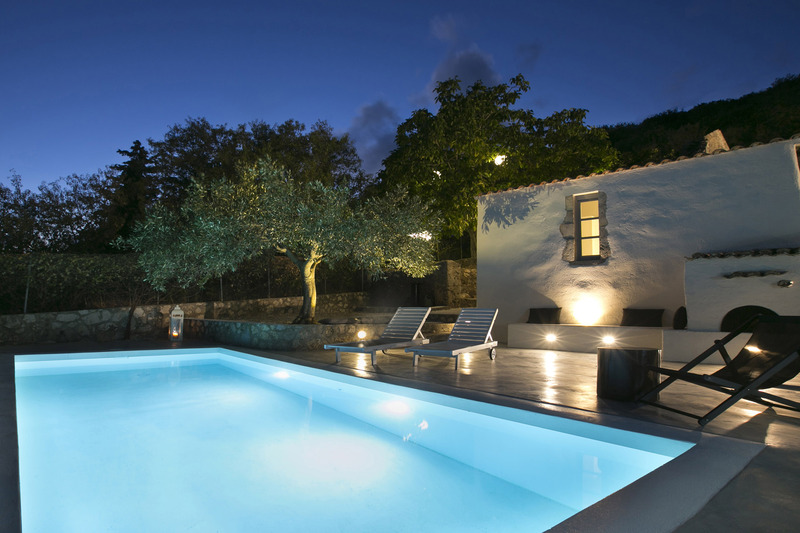 A nineteenth century farmhouse was totally renovated in 2015 to become a luxury retreat in the heart of Kefalonia Island. 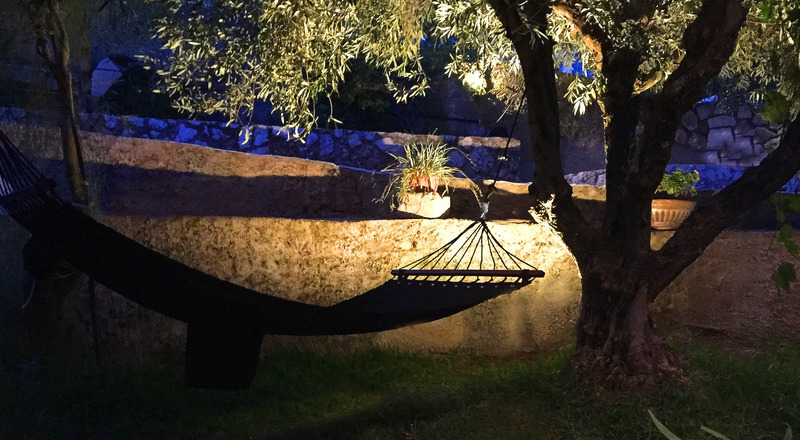 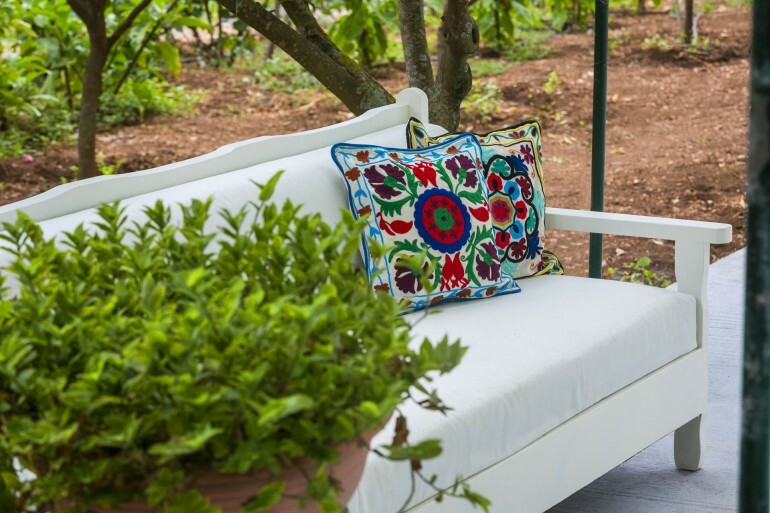 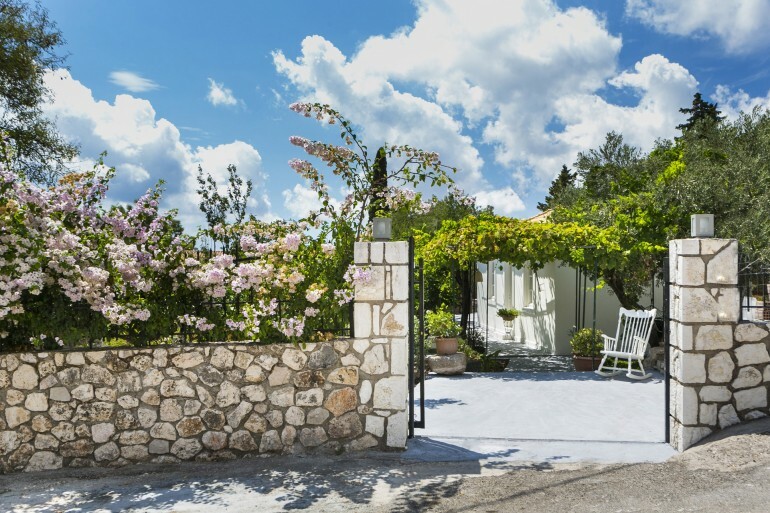 Surrounded by tended gardens and olive groves, this villa will pamper you with its luxurious indoors and its manicured outdoor spots ideal for enjoying the comfortable tranquility of Kefalonia Island. 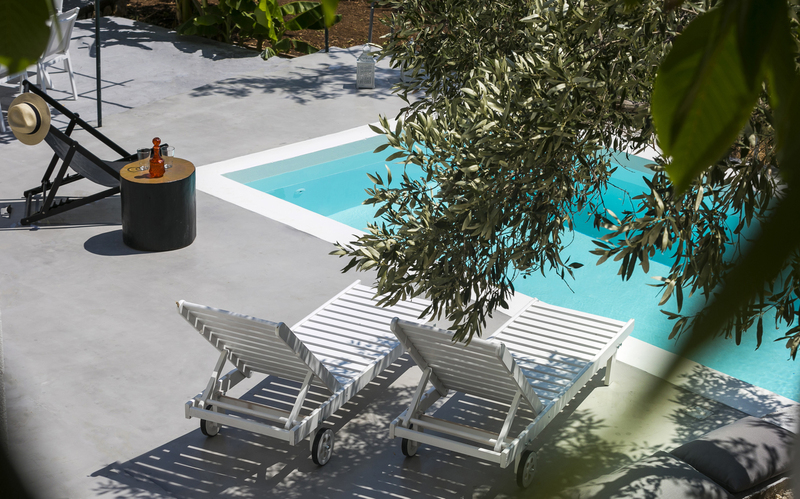 The striking two-building complex is laid out around a central courtyard and a large patio with lounge chairs surrounds the private swimming pool. 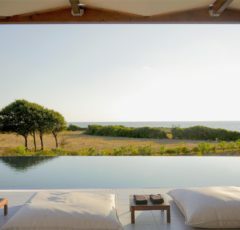 Gathering spaces within Bohemian Retreat plot, alternate between larger spaces and more intimate niches, allowing for thorough indulgence in relaxation and pleasure that will become a lasting memory of your time here. 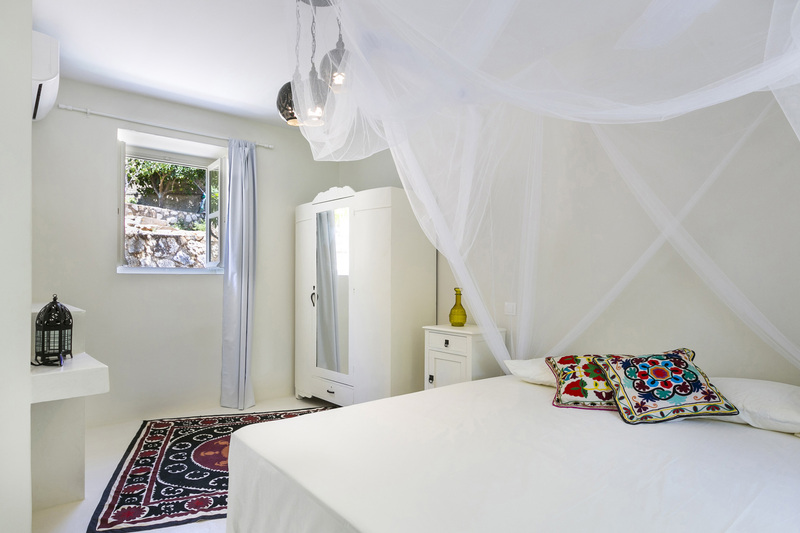 The main house comprises of one luxury double bedroom with en-suite bathroom and a dining room with its fully equipped kitchen. The second building is a guest house that comprises of two single beds or a double bed with en-suite bathroom. 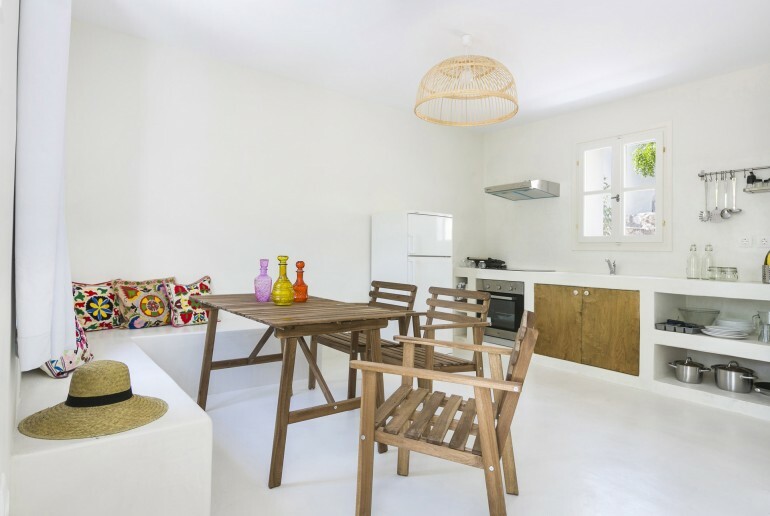 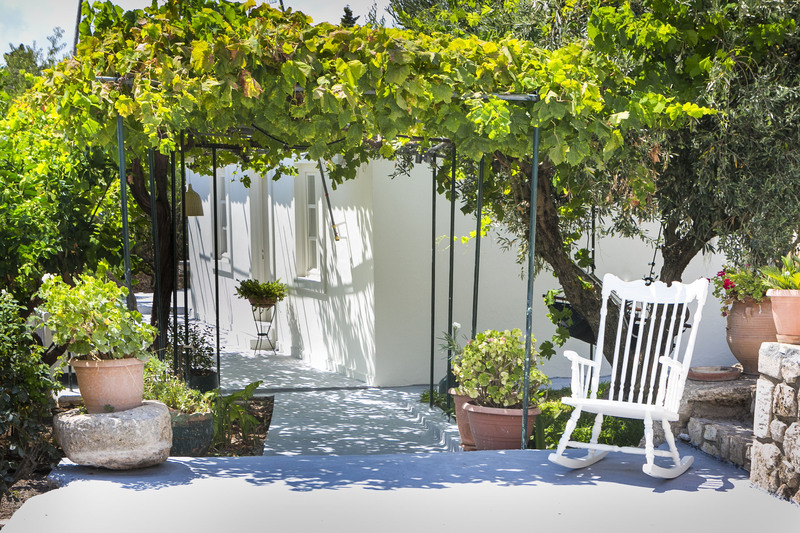 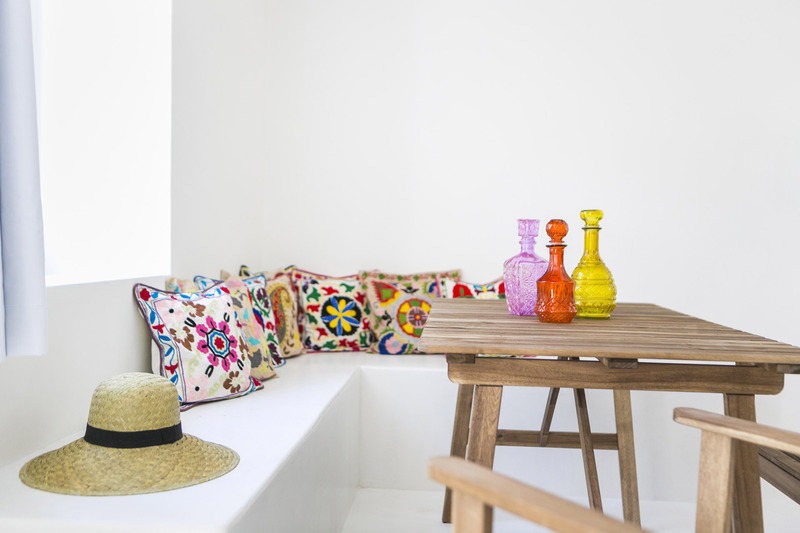 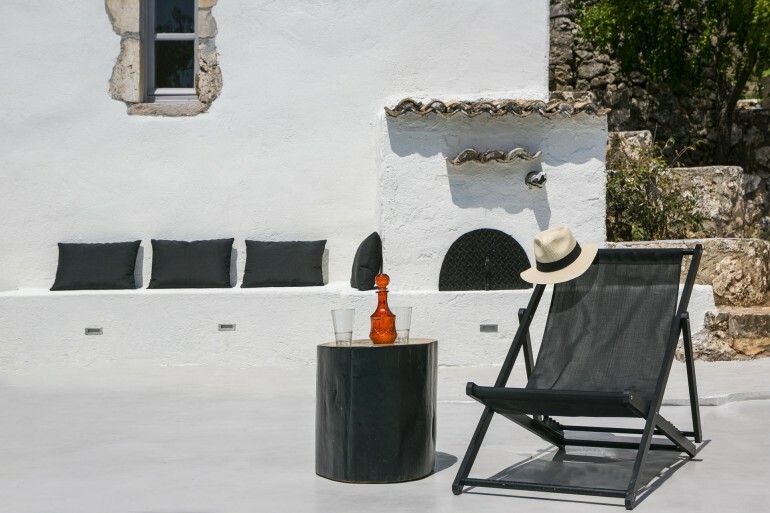 On the exterior, the historic Kefalonian architectural style, unchanged over the centuries, can be appreciated; while complete renovations have enriched it with all modern comforts. 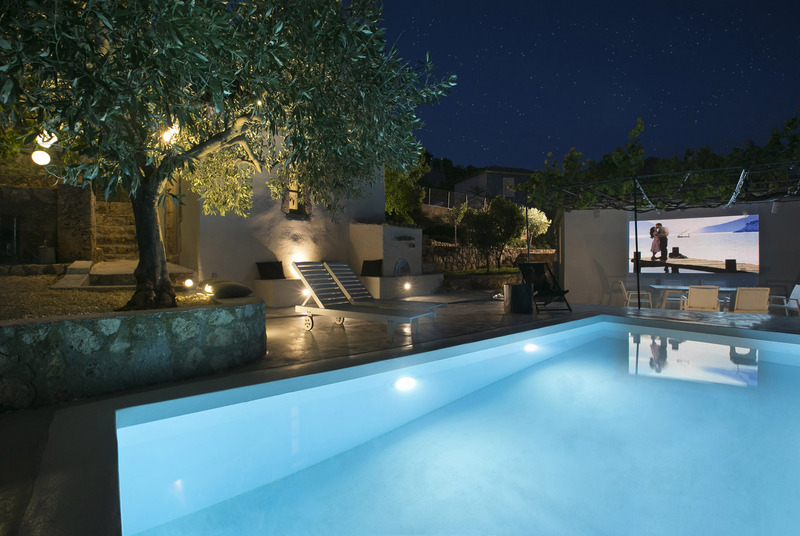 Alongside the swimming pool and the patio you can also have an unforgettable experience – an private open-air private cinema for the summer nights you prefer to stay “home”!